We decided to explore a different part of Colorado over the weekend. 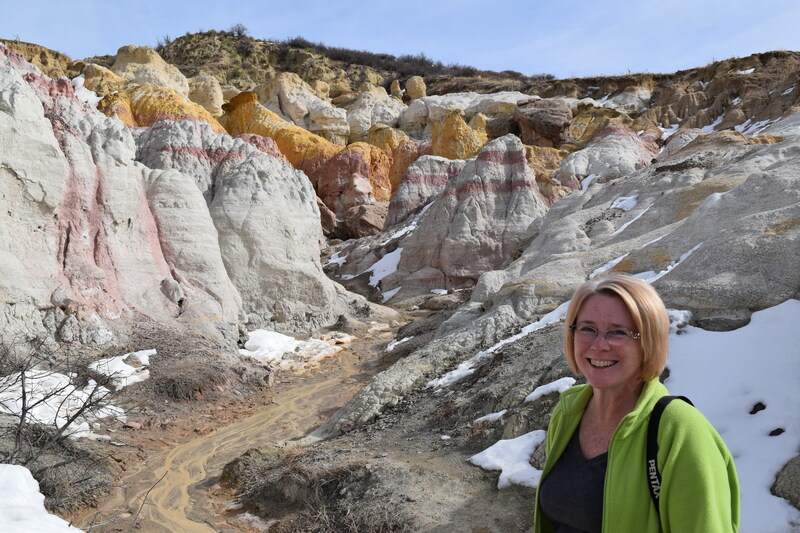 Instead of heading into the mountains to go hiking, we headed east to a unique location near the town of Calhan. 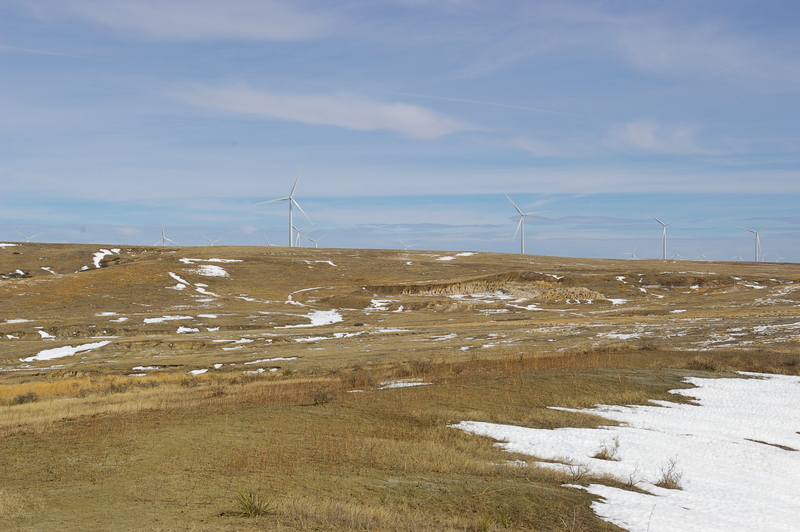 Generally speaking, eastern Colorado is pretty much just open prairie land with farms and ranches. 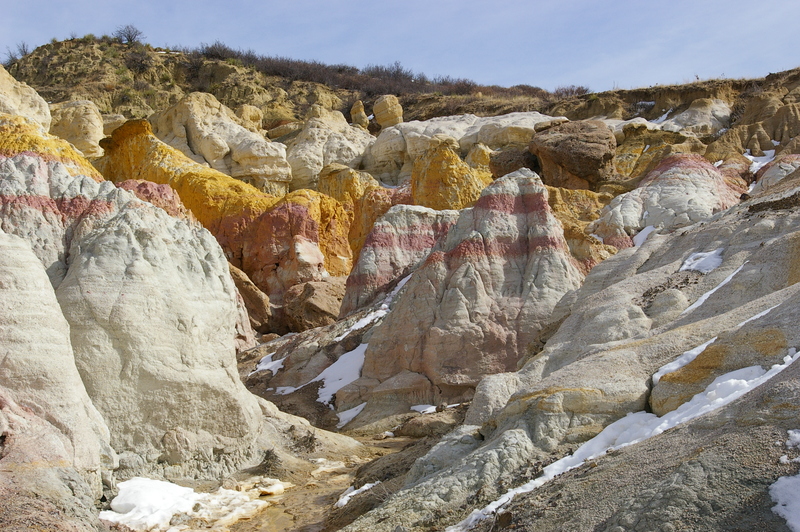 However, the Paint Mines Interpretive Park is a geological site that is very interesting and worth the visit. 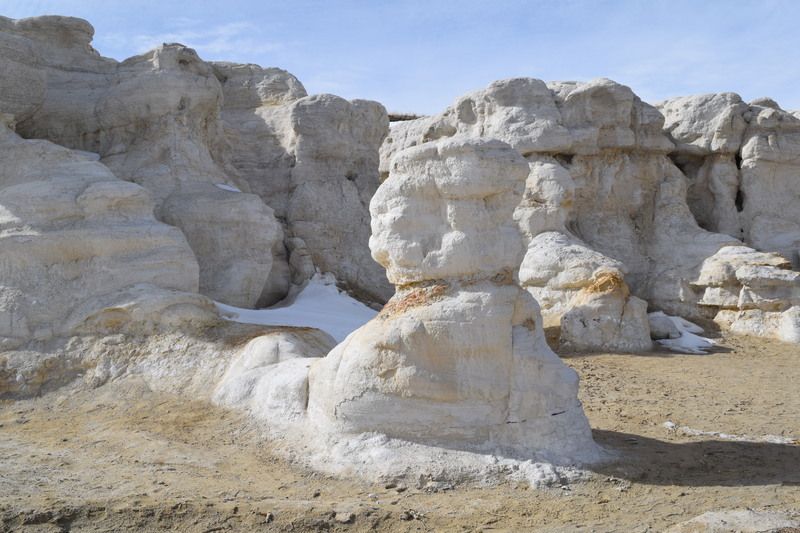 The formations in the park were created by geological forces over millions of years. 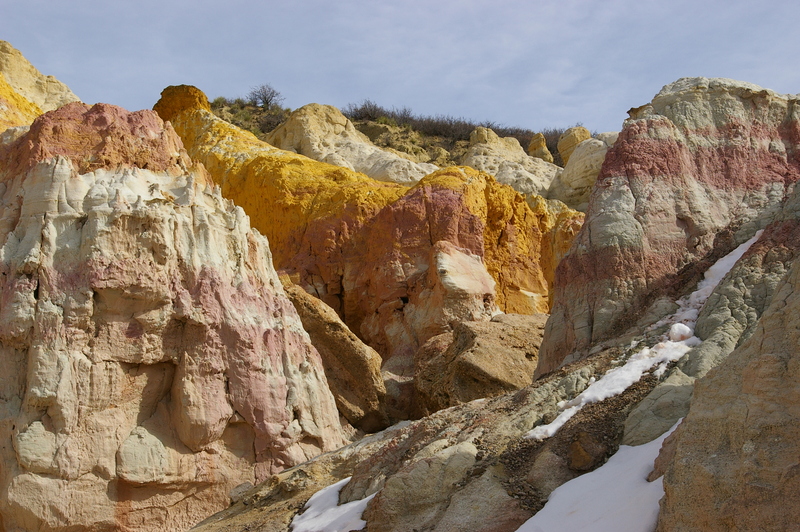 Oxidized iron deposits created fascinating clay formations with dramatic colors. 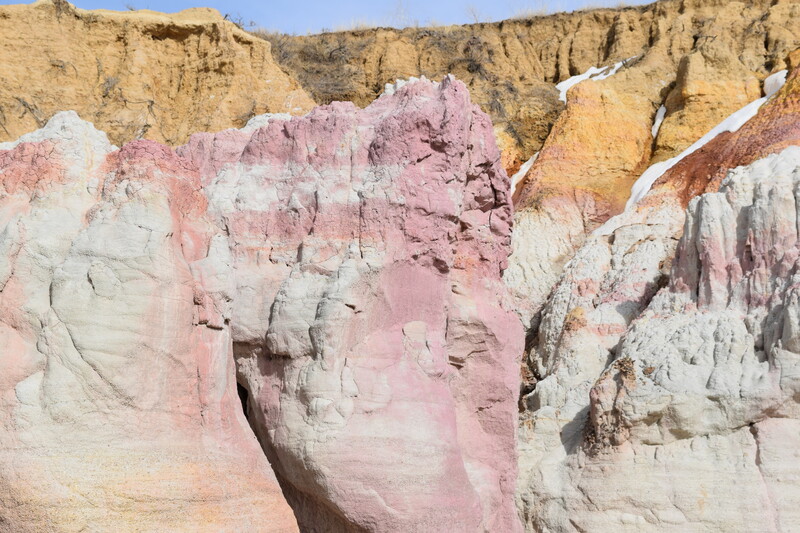 Over 9,000 years ago, the first inhabitants of Northern America, the Paleoindians, were thought to have made pottery out of the colorful clay. 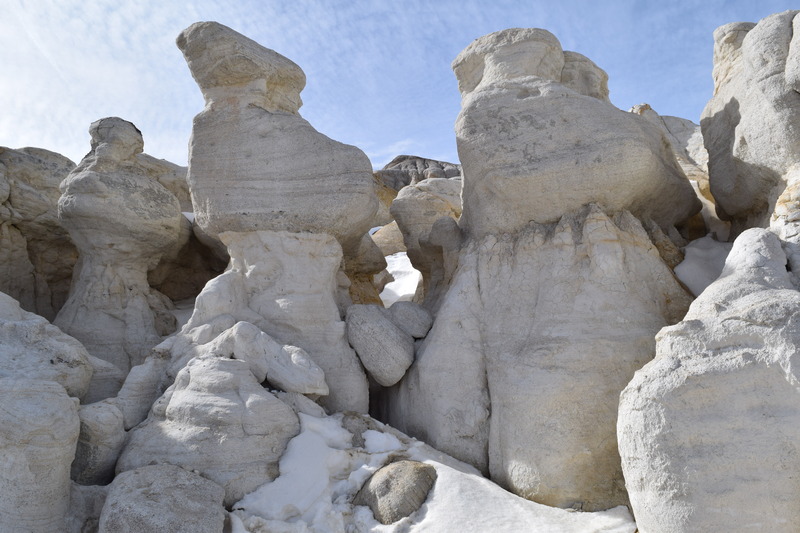 The hoodoos (also called tent rocks or chimney rocks) that raise out of the ground are truly spectacular. 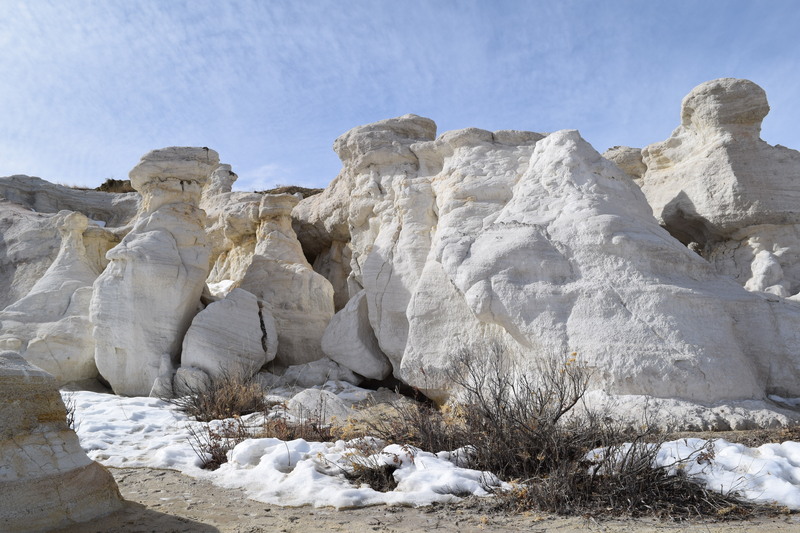 The 4 miles of trails that loop through the park allow you to get close to these unique formations and see how spectacular the geology of the earth can be. We’ll definitely go back to the park during the spring or summer. 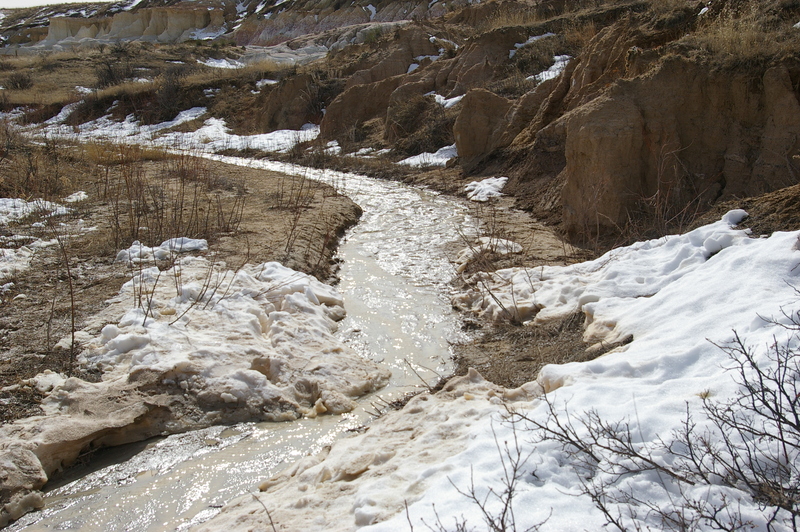 The trails were actually streams at certain points due to all of the melting snow. 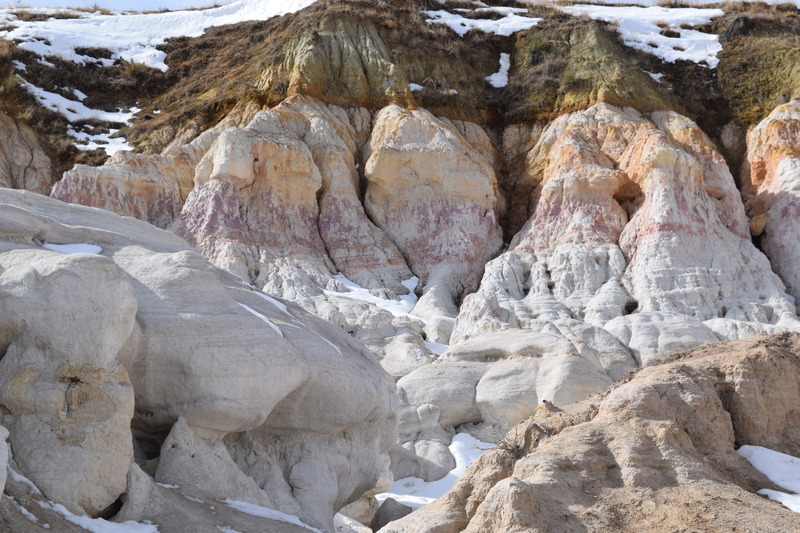 Where there wasn’t running water or snow, the clay ground was a muddy mess and we ended up with our shoes layered in a colorful mess. 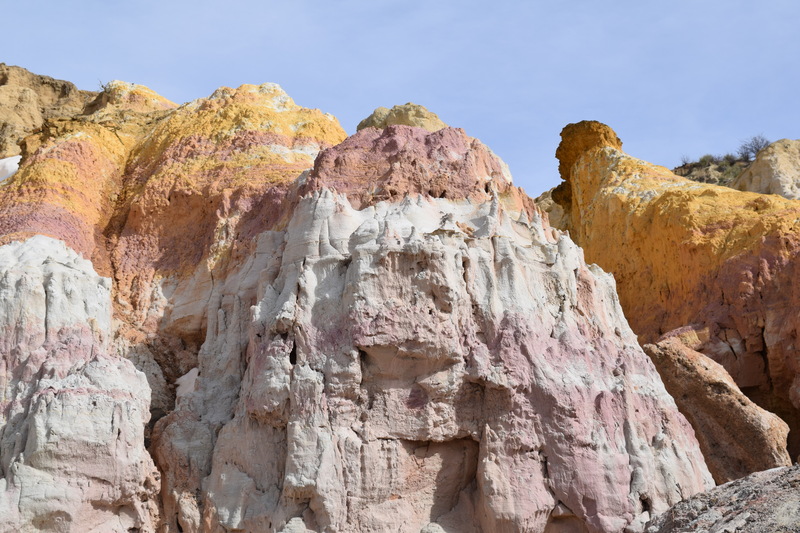 Even though we couldn’t get to all areas of the park due to the condition of the trails, we had a wonderful time hiking through the formations. 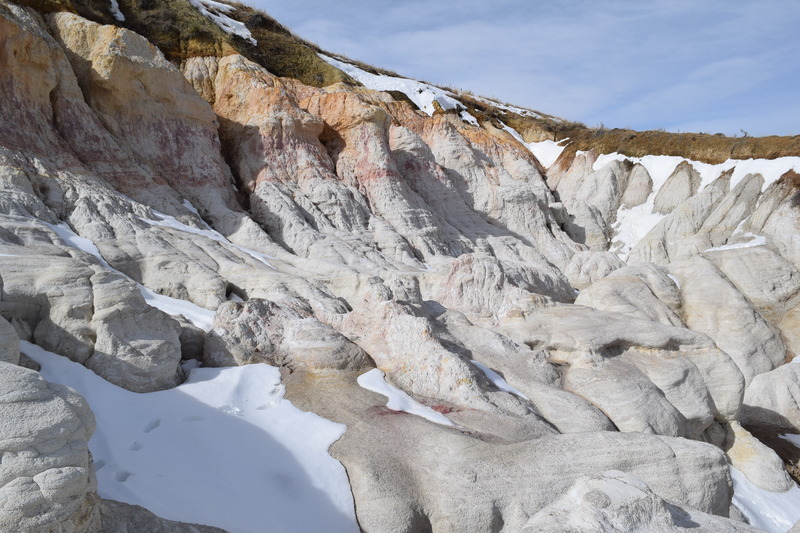 It is amazing to find such a wonderful geological and archeological site located in a place where you would never expect it. 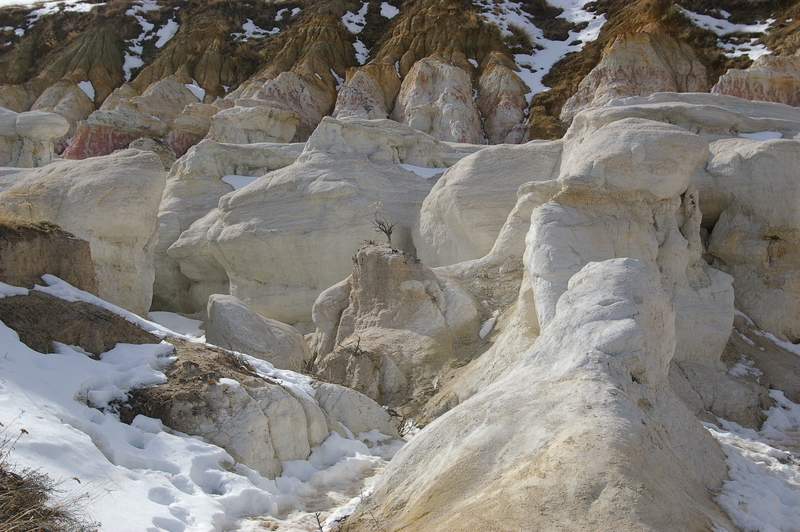 If you take a little time to explore your own part of the world, you can find some truly beautiful hidden gems. 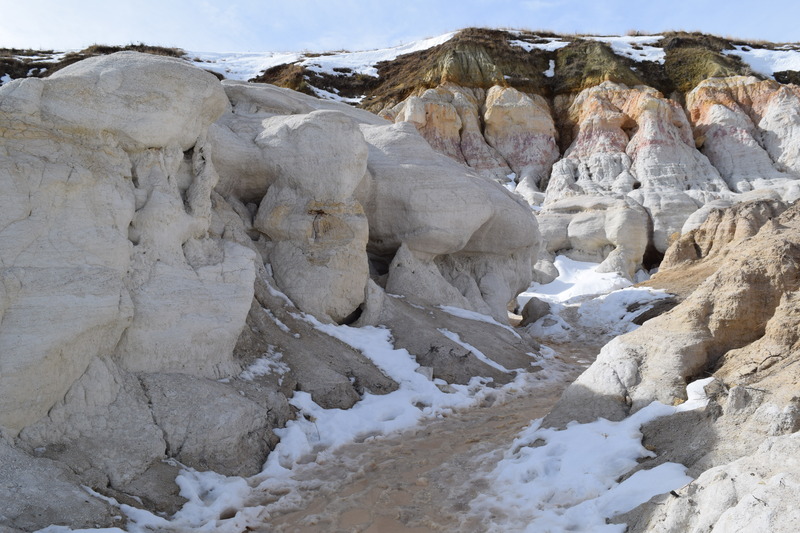 This entry was posted in Colorado and tagged adventure, Colorado, colorful, exploring your own backyard, geology, Hiking, hoodoo, paint mines, photography, trail, travel. Bookmark the permalink. Beautiful! 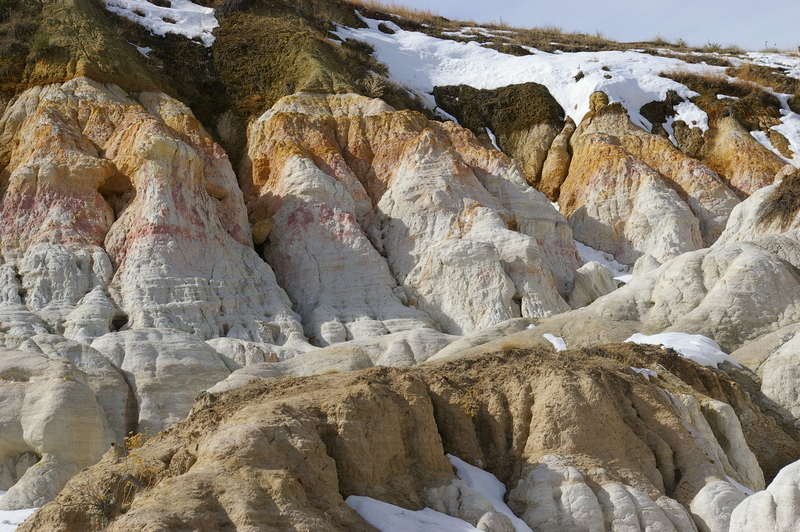 I never heard of Paint Mines. Thanks for sharing photos and information. Hope to visit in drier weather. Colorado has so many treasures. You seem to have lots of places to visit right in your back yard! When I think of a road trip to the US some time in the future, it’s utterly frustrating to try to plan on what to do, as both time and $ aren’t infinite 🙂 As you say, many people should “take time to explore their own part of the world”. I’ve been visiting Italy extensively, and there’s still so so much to see, but I’m shocked so very many Italians have been to many foreign countries and hardly know the rest of thier own country. 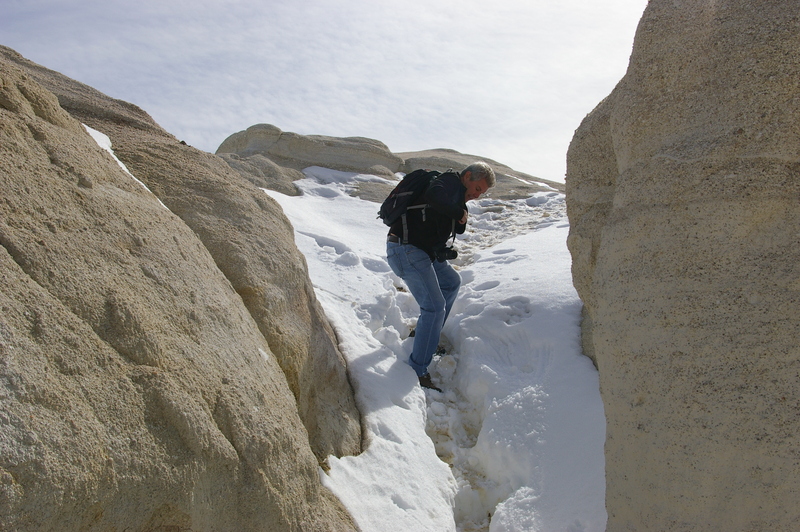 We’re continuously surprised to find someplace new to discover that isn’t too far from us. Although going to other countries is something we treasure, it is very expensive and time consuming. People really should take the time to explore their own backyards, they will be richer for the experience. Hi there. Thank you for a great post. We now live in CO, but had never heard of this place yet. We definitely have to plan a visit soon. Thanks again for sharing.